Disclaimer/Warning: This blog, pictures, text are all provided by me and credited to sources where appropriate. This is a free website for K-Pop fans. When you share information from this blog with others online, please give credit where due (i.e. to me because I spent time in line and then in the store working hard for these pictures (and to @AKPF who publicized the event and through whom I found out about this event)). Note that I am a Harvard-educated lawyer who will not hesitate to find, sue and legally put to task anyone who steals, borrows or uses my pictures or text to make money without permission, and anyone who tries to pass this off as their own work without giving due credit. It's not a threat. It's a promise. Dedicated to Cassies and K-Pop fans all over the world -- Enjoy! 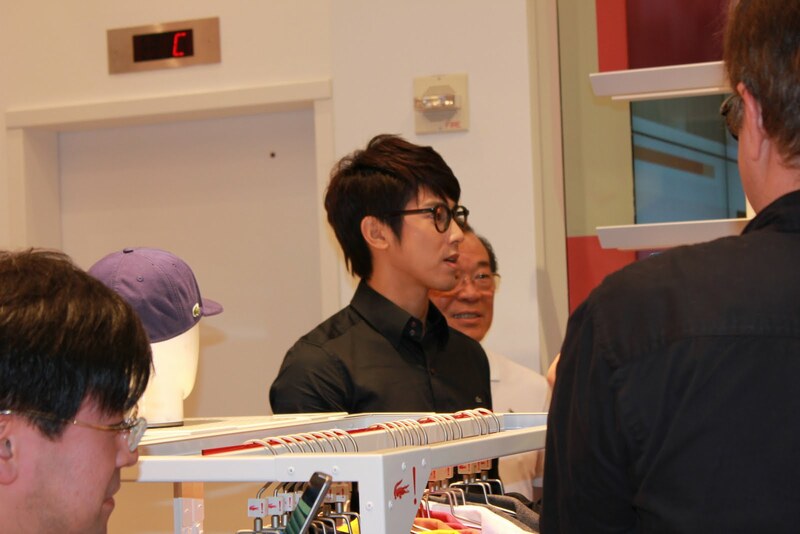 Cassies -- feel free to scroll all the way to the end to look at the huge pictures of Yunho. I ruined my blog pagination to make you happy. You're welcome! 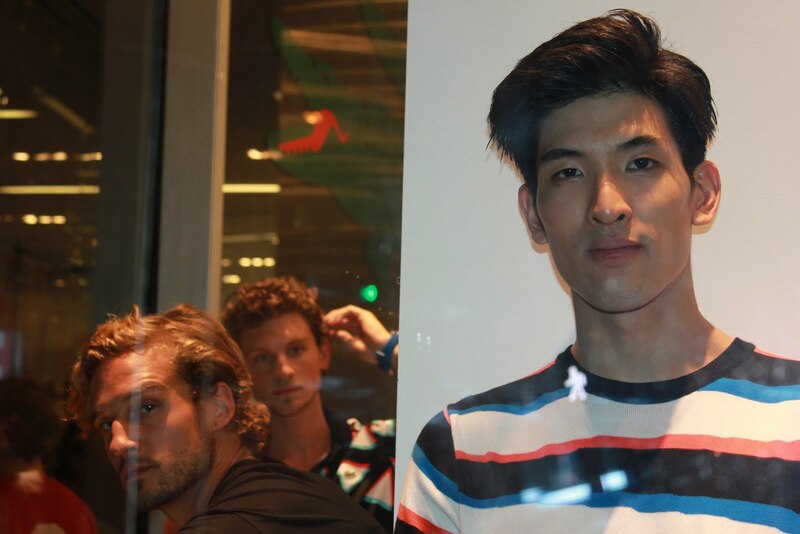 I went through the day occasionally checking my @JayNoonaYeppo twitter feed and my Facebook account, and at around 4pm, at the end of my meetings, I noticed AKPF had an “EVENT” alert on Facebook – TVXQ was going to have a fan meeting at Lacoste to celebrate Fashions Night Out in New York City. Lacoste is a few blocks away from my office. I had to go. Or did I? I fought with myself for maybe an hour about whether or not I should go. However, as I read the sad notes from various Cassies who could not attend the show because they lived so far away, I felt like I had to go. I wanted to be able to share pictures and fancams with fans who couldn’t be there to see their K-Pop idols. Like a good Cassie, I finished my work for the day and rushed out to catch a cab home for a quick change. When I got home, I turned on TVXQ’s Keep Your Head Down for motivation. As it was playing in the background, I felt myself getting more and more excited to meet Yunho and Changmin. I recalled just how relaxed and exciting they seemed on SuJu’s Explorers of the Human Body. I was so amped by the time I was ready! 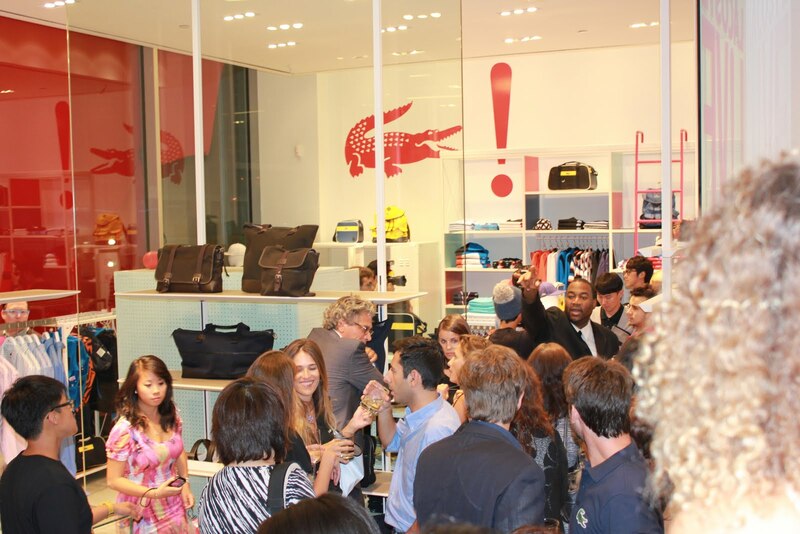 I arrived at the Lacoste store on 49th Street and 5th Avenue in Midtown East Manhattan. 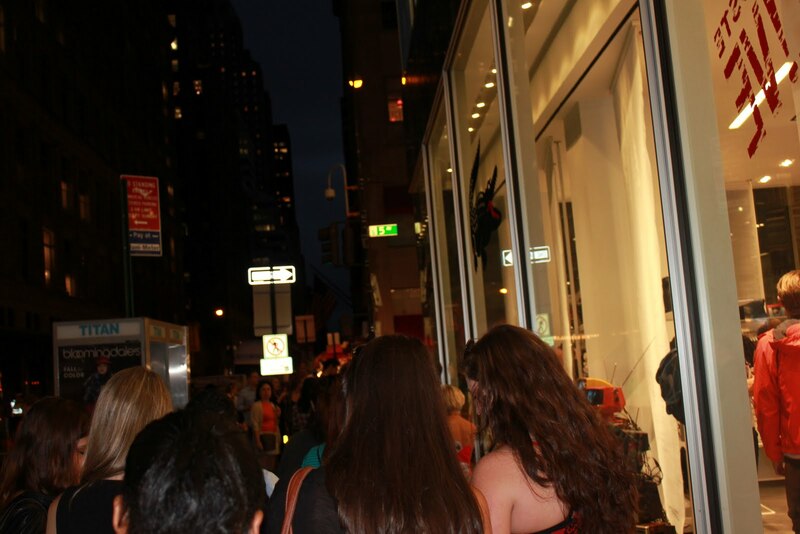 The intersection is quite famous because there’s a Saks Fifth Avenue store at the same location. 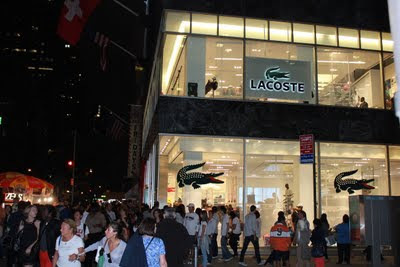 To my dismay, there was a huge line outside the Lacoste store, and the line was moving very slowly. 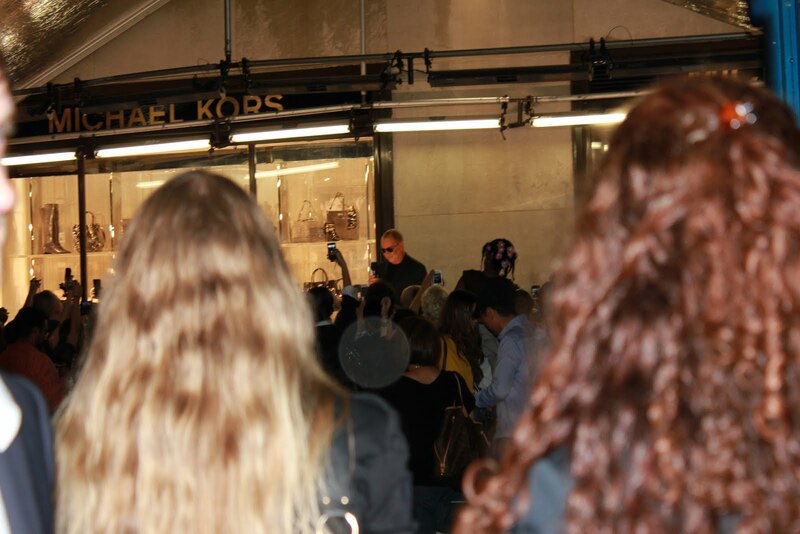 Yes -- that is Michael Kors! I was a very good Cassie because I stayed in line and waited my turn. 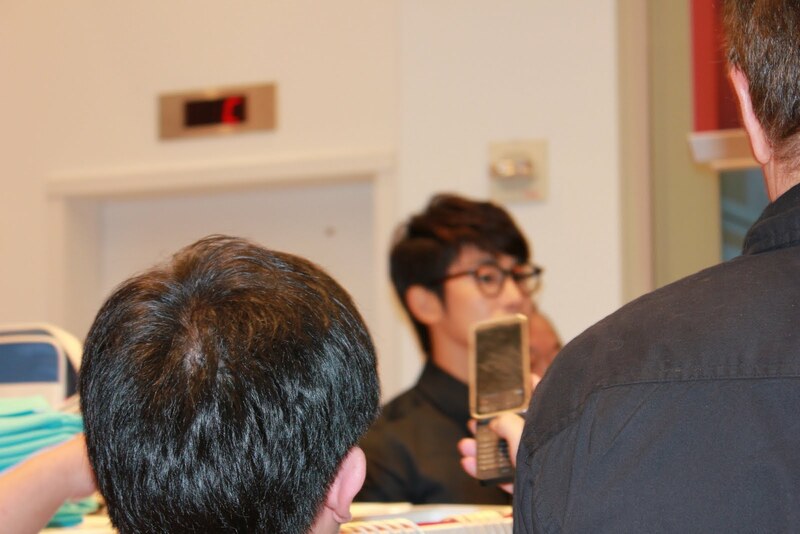 TVXQ [only Yunho] arrived, with an entourage that made it so difficult to see his face. 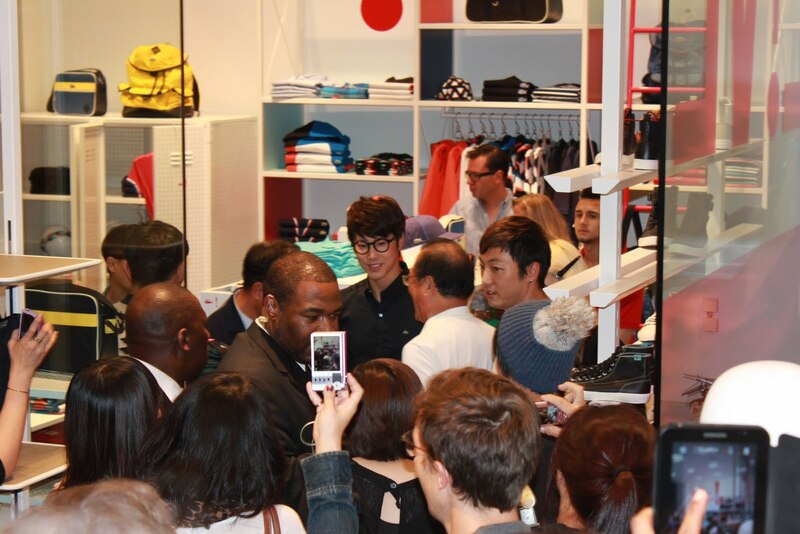 He arrived in a stretch limo, and he was quickly ushered into the store as a ton of fans screamed his name. 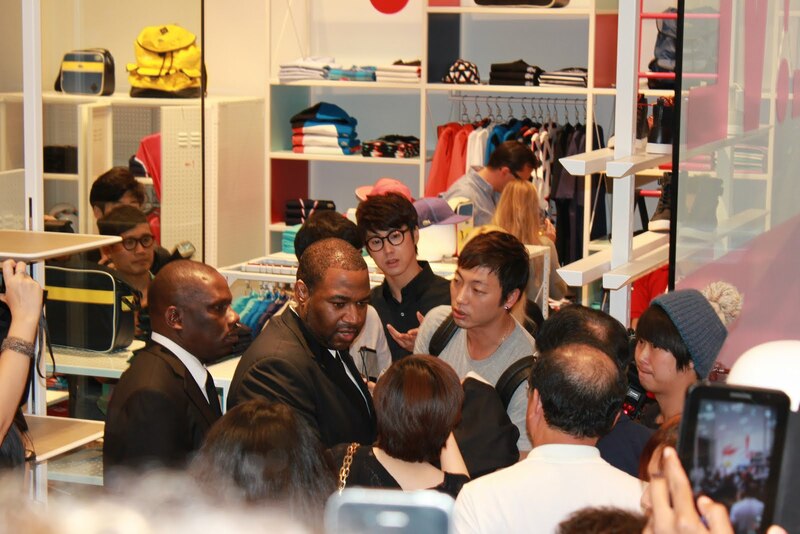 A ton of people on the line kept asking, “Who just entered the store?” As a good Cassie, I tried to educate them, but non K-Pop fans just don’t get it the way we do. Seriously, what a waste of time. I was so upset that I sent a message to AKPF on Facebook complaining that the store was keeping TVXQ’s fans outside on the sidewalk and refusing to let us in. AKPF was very nice and made some calls, which must have worked because they let us in! Yay!! I was the first to get in because I had my ID card ready and apparently because they were serving alcohol there was an age limit on who they could let into the store, or something like that. 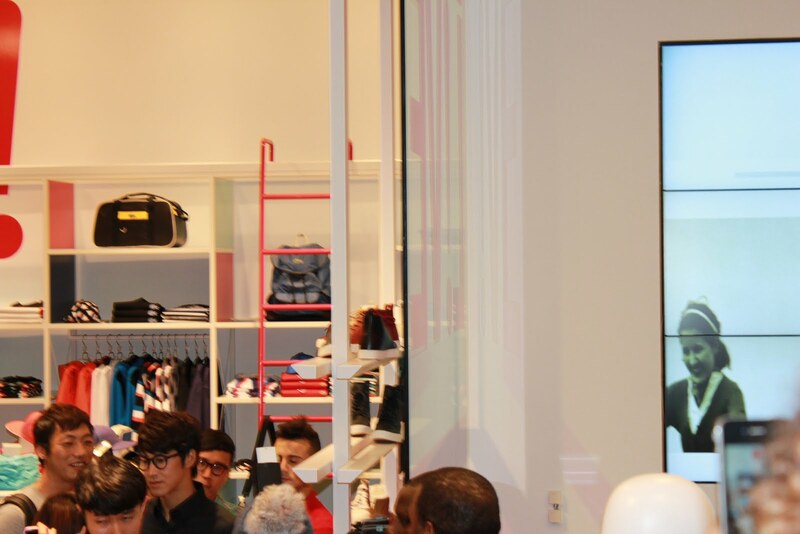 The store is actually quite nice. Two floors. 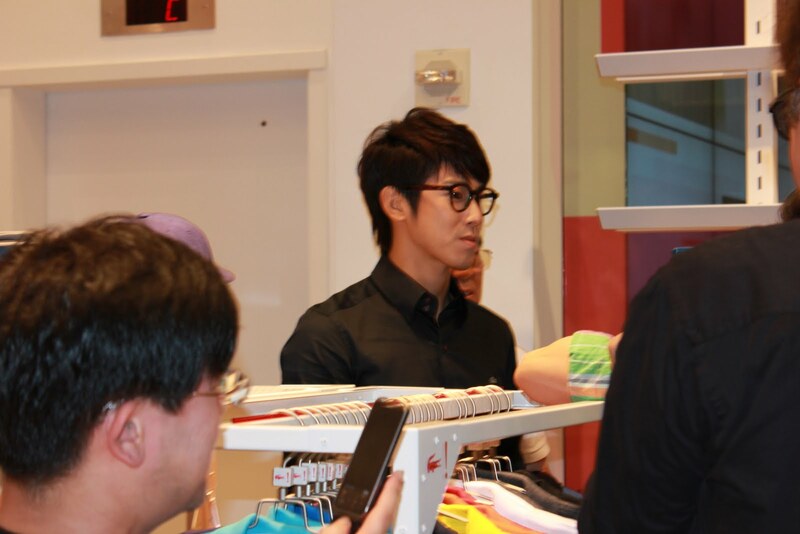 Great staff – aside from those who didn’t want to let TVXQ’s fans inside to meet their idol! Anyway, all is well that ends well. As soon as I entered the store, I made my way upstairs where some handlers were hiding TVXQ in what looked like a dressing room. I asked upstairs if both Changmin and Yunho were there and I was told that Changmin didn’t attend. 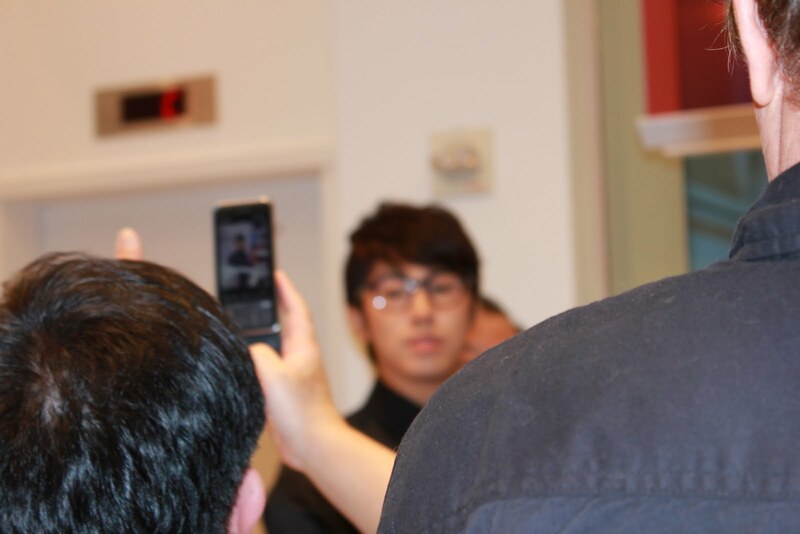 Eventually, Yunho came out of the dressing room and was ushered into the elevator, and when he appeared again downstairs, there was serious pandemonium. Tons of fans were outside pressed up against the glass trying to get pictures of him. He was friendly and quiet. Not afraid, but totally listening to the manager/handler – which means he didn’t take any pictures with fans or sign any autographs… His quiet calm definitely won me over. It’s not just an act for shows or music videos. He is actually calm in person. Here are the pictures that I made from the event. It was definitely worth attending. I’d do it again for any K-Pop idol who comes to NYC – I’m not really into "paparazzi" pictures -- I can't do the pics at the airport or hotel. 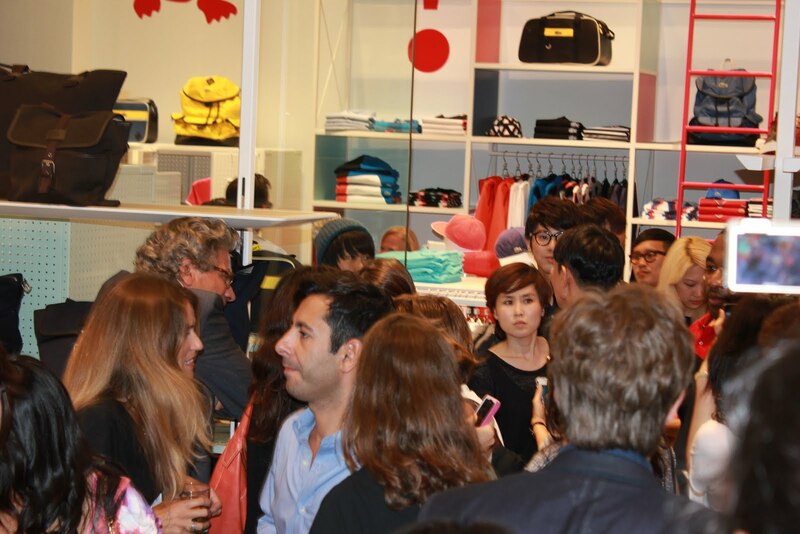 But, here Yunho was at an event where he invited press and was promoting a product. I was definitely happy to attend. I hope you enjoy the pictures for tonight – fancam will be uploaded over the weekend! Of course! Feel free to share the pictures on your Facebook!! :-) I'm so glad you enjoyed the blogpost. Thank you for following me. 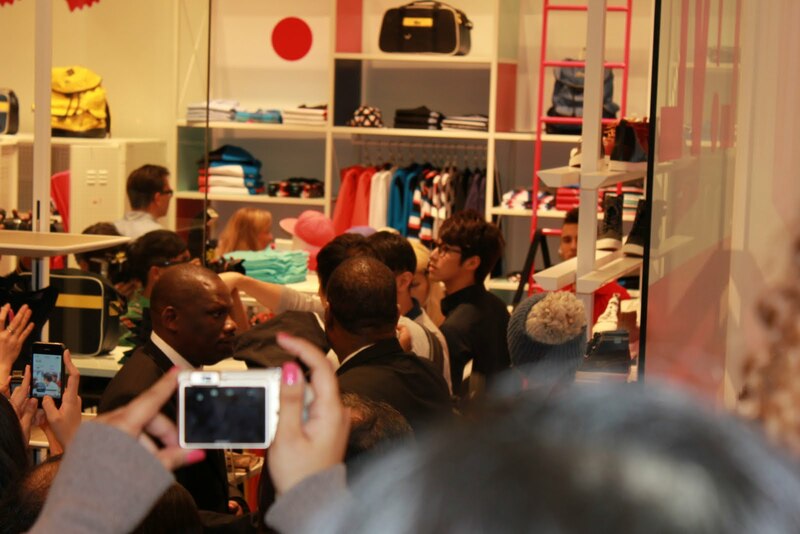 You can count on me to stalk--erm--attend and document any KPop idol's public events in the New York area. I'm so glad @AKPF let us know about the event as soon as they knew. 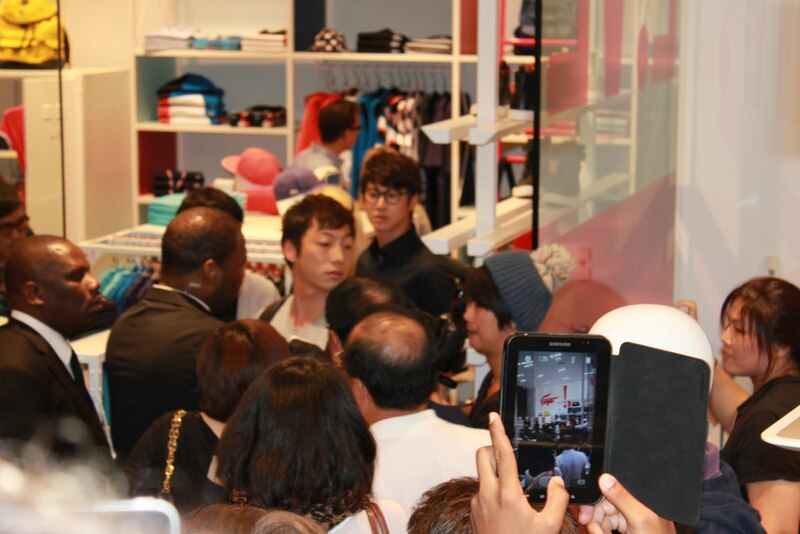 U-Know -- he was totally swamped with fans but he stayed so calm. 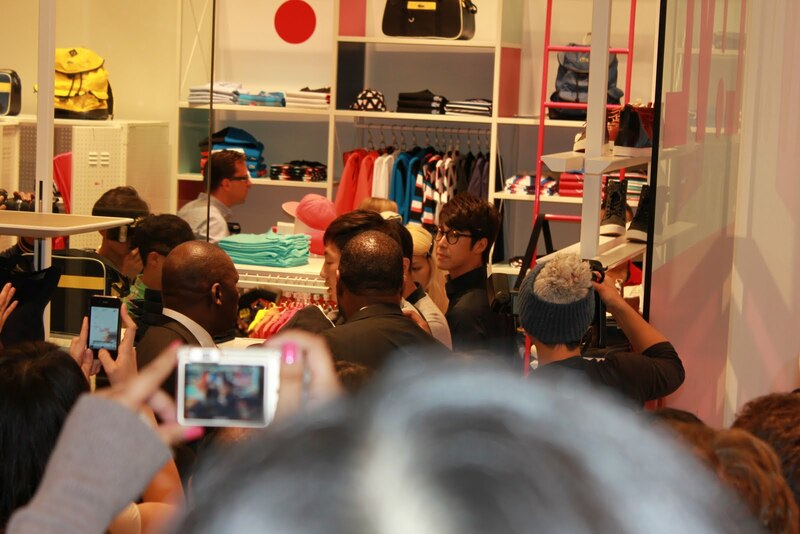 He smiled at fans. He was so quiet/reserved, but still seemed friendly. It seemed like he was trying to be respectful to his handlers and listening to their instructions. 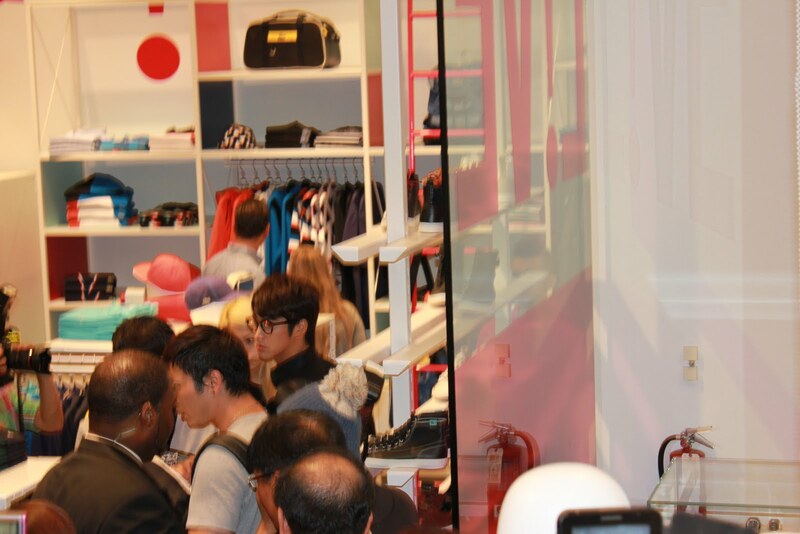 He didn't seem to mind the crowd at all (see pictures), and you could tell that he really wanted to keep browsing the store to look at more Lacoste clothes/bags/shoes. So cute. 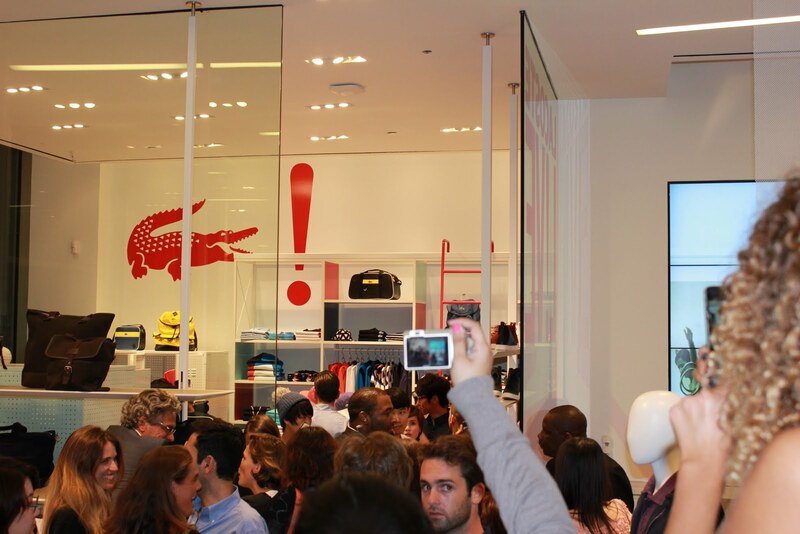 There were a ton of fans at the event -- I would say there were at least 100 people inside the store and 75 people waiting outside. It was crazy. 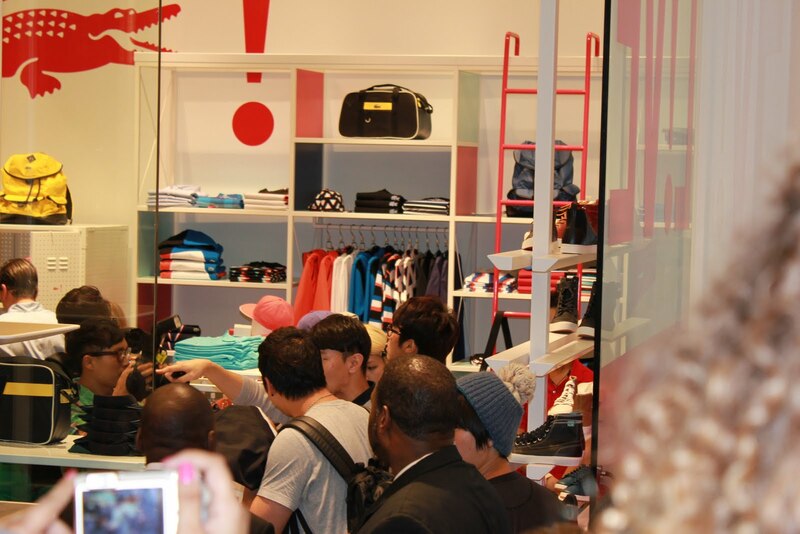 When Yunho left, the whole group of fans chased after him. I didn't. The public appearance was over for me as soon as he left. What if he got hurt as he was trying to "escape" his "loving fans"? I can't bear that. Anyway, hope this helps! It was a large crowd. 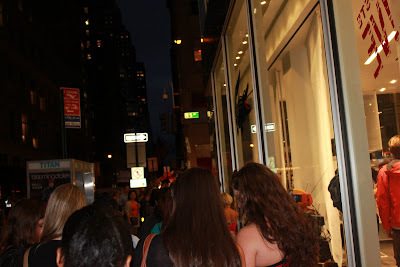 But you know 5th Avenue's sidewalks are actually quite wide, but there were so many people there! There was quite a bit of traffic -- but NYC was prepared for it and there were cops everywhere directing foot and car traffic. Yay efficiency! 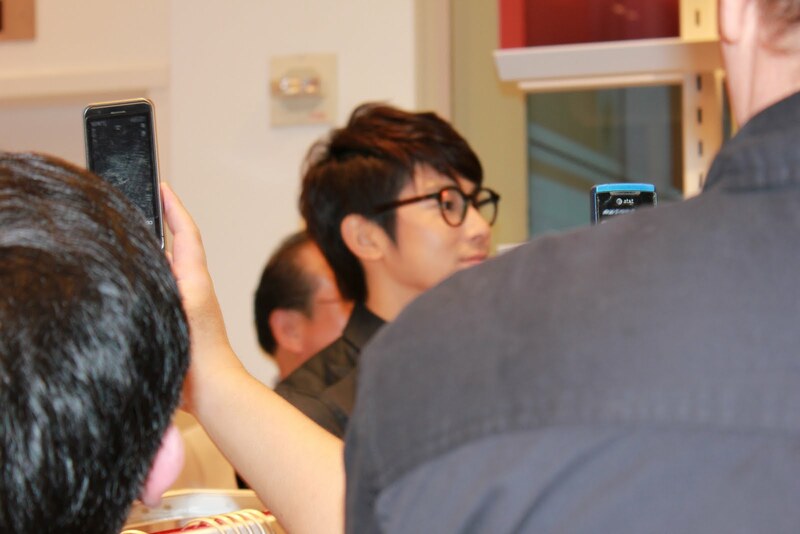 U-Know is handsome in person and the glasses made him look so preppy/nerdy. 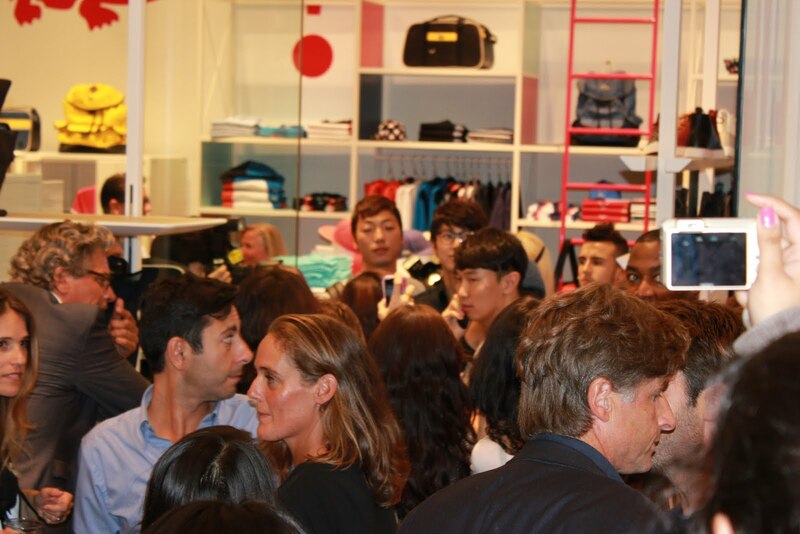 There were a ton of older people in Lacoste who actually came for the Fashions Night Out event and didn't know about Yunho being a Lacoste model/spokesperson, etc. I had a few people ask me if I knew who was in the store, and when I tried to explain who he was, they were so confused. Everyone definitely knew he was a star (with his all black and nice black Lacoste shirt), but some people didn't know that he was a huge K-Pop star. Thank God, NYC are prepared. We don't want accidents. Aww. My handsome bb..lol..I hope I can get a hold of myself when I see him (of course,lol). Thank you so much for sharing your experiences. I really enjoyed reading it.